This family-friendly Brazzaville hotel is located on the riverwalk, within 1 mi (2 km) of Basilique Sainte-Anne and Brazzaville Cathedral. Presidential House and Stade de la Revolution are also within 3 mi (5 km). Located in the heart of Brazzaville, this hotel is within a 15-minute walk of Basilique Sainte-Anne and Brazzaville Cathedral. Presidential House and Stade de la Revolution are also within 3 mi (5 km). 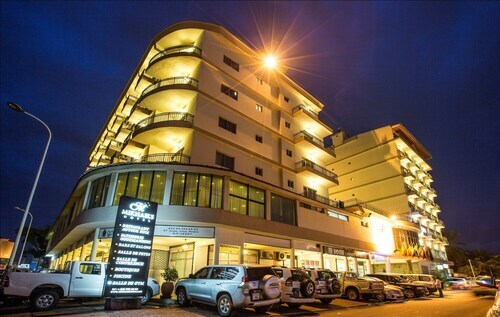 Located in the heart of Brazzaville, this hotel is within 1 mi (2 km) of Presidential House and Stade de la Revolution. Brazzaville Cathedral and Basilique Sainte-Anne are also within 3 mi (5 km). Situated in Brazzaville, this hotel is within 12 mi (20 km) of Basilique Sainte-Anne, Brazzaville Cathedral, and Stade de la Revolution. Presidential House is 12.3 mi (19.9 km) away. If you're visiting Brazzaville and looking for accommodation, you'll have a good selection of hotels at your fingertips. Book any of the 3 within 5 kilometres of the city's heart. You should check out the Radisson Blu M’Bamou Palace Hotel and Mikhael's Hotel. All these options are near the major action. For more options, look at the Pullman Kinshasa Grand Hotel and the Beatrice Hotel. They are located 9 kilometres and 8 kilometres respectively from the main center. 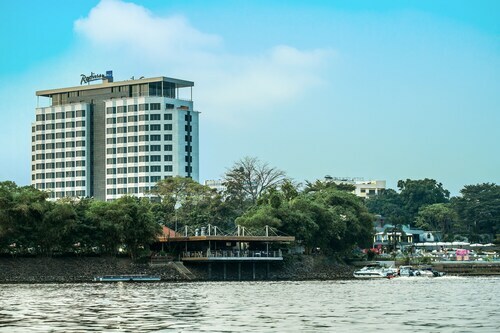 Further alternatives are the Hotel Memling, 8 kilometres away, and the Kempinski Hotel Fleuve Congo, 9 kilometres. If you still have some puff left, you should travel to other places in the Republic of the Congo region. Have a squiz at the churches. Visitors could also take in the region's jungle and rivers. Or spend some time shore fishing. Don't farewell Republic of the Congo without experiencing a game at Stade de la Revolution. If you are looking for a hotel, book a bed at the Ledger Plaza Maya Maya. So stop dreaming and start packing! Whether it's Brazzaville, or just about anywhere else on the planet, Wotif can make your travel dreams come true. How Much is a Hotel Room in Brazzaville? 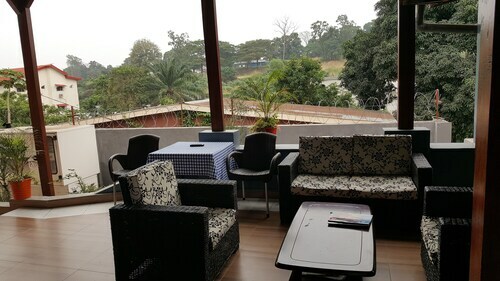 Hotels in Brazzaville start at AU$80 per night. Prices and availability subject to change. Additional terms may apply.